We're helping our members go places! 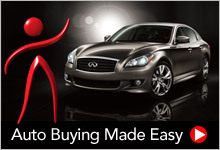 Not only do we help you with financing for your vehicle, but we also help you in your search for a vehicle. Save time with our convenient Pre-Approval. Save money with our great loan rates. Save gas with our online search of local dealers. For a limited time, when you get an Auto Loan at Downriver Credit Union, you will receive 2 FREE Tickets to the 2019 Detroit Grand Prix on Belle Isle! * Offer expires April 30, 2019. Detroit Grand Prix tickets available while supplies last. We provide a variety of resources both online and through our partnership with local dealers. You can rely on us to help you search, compare, and finance your next new or used vehicle! Our Member Satisfaction Specialists will be happy to help you with the financing for your next new or used vehicle. Did you purchase a new vehicle within the last 12 months and finance it elsewhere? If your answer is yes, then we have a special offer for you! Refinancing is a great way to save money by lowering your payments and better yet, we will give you our current new vehicle rate. Call a Member Satisfaction Specialist today for more details.